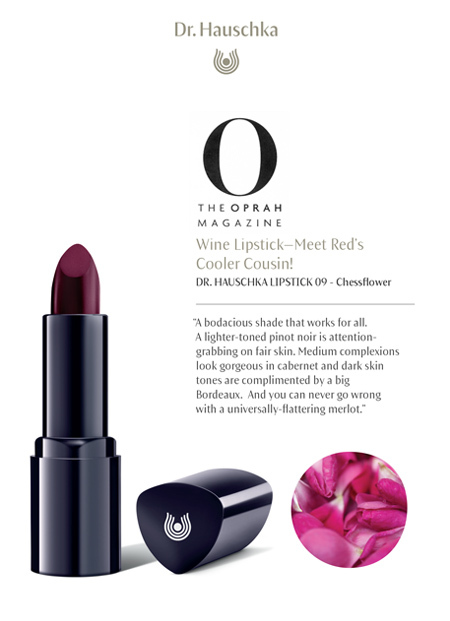 Wine Lipstick—Meet Red’s Cooler Cousin! 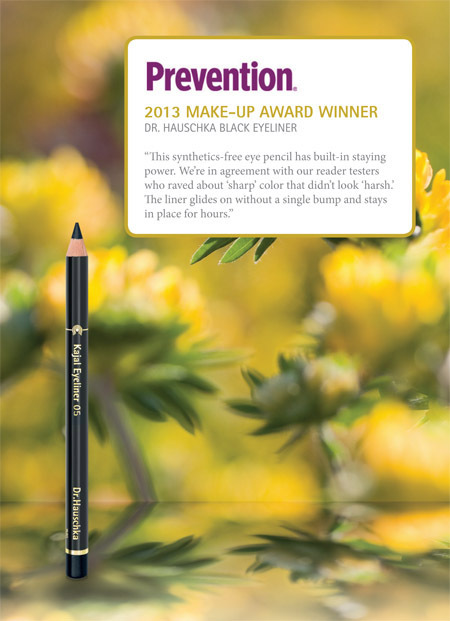 “A bodacious shade that works for all. 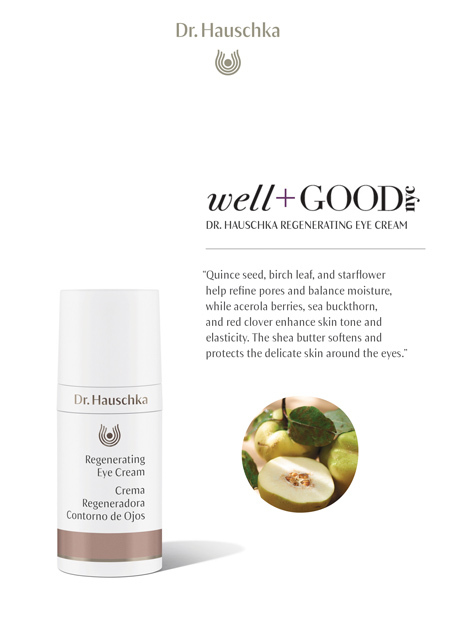 A lighter-toned pinot noir is attention grabbing on fair skin. 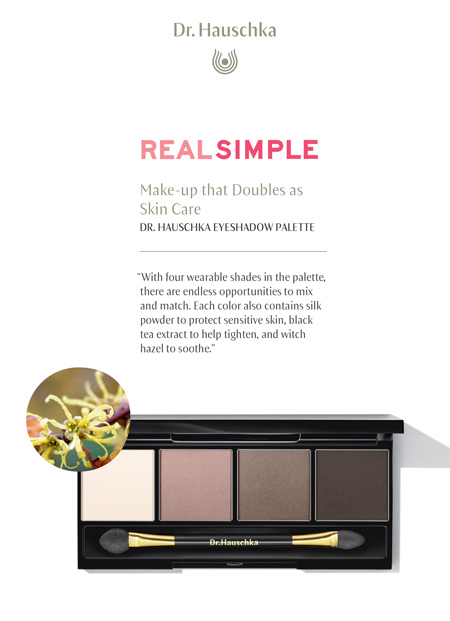 Medium complexions look gorgeous in cabernet and dark skin tones are complimented by a big Bordeaux. " 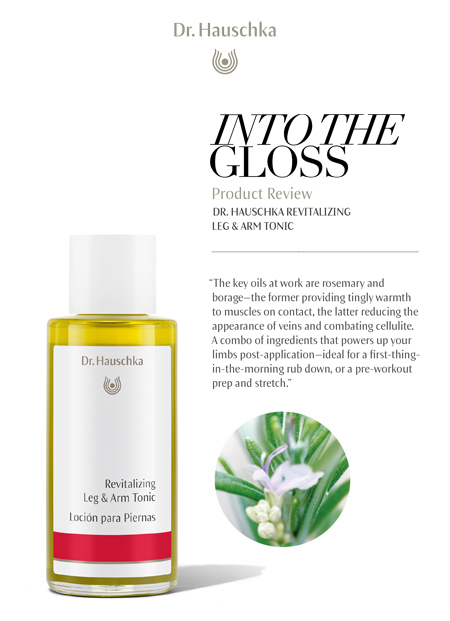 The toner instantly gives legs and arms an energized feeling, and reduces the appearance of varicose veins. 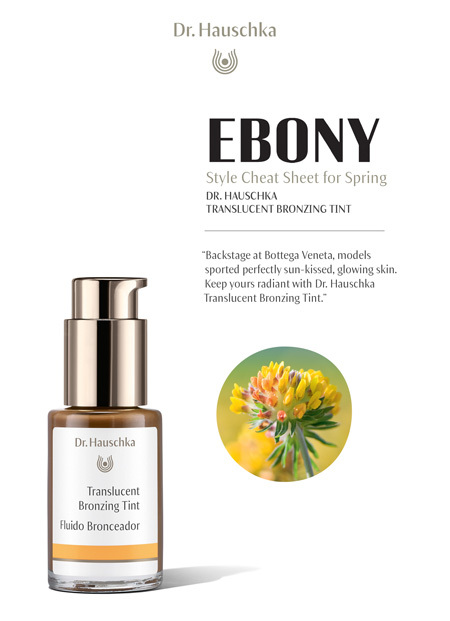 An olive-oil based liquid that cleans up on MakeupAlley and imparts a subtle better-than-bronzer glow to all skin tones. 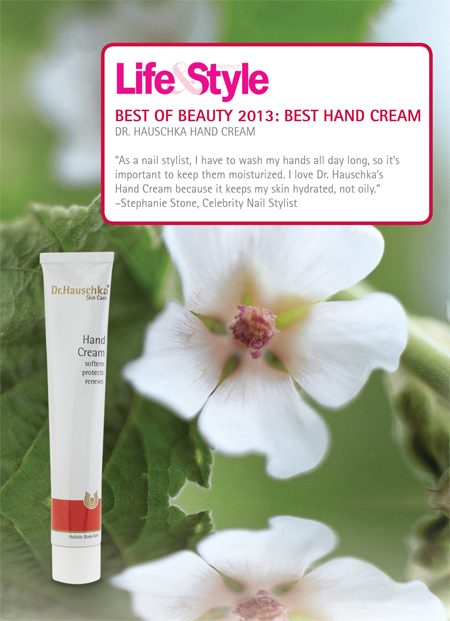 Mix it with your moisturizer or use it by itself. 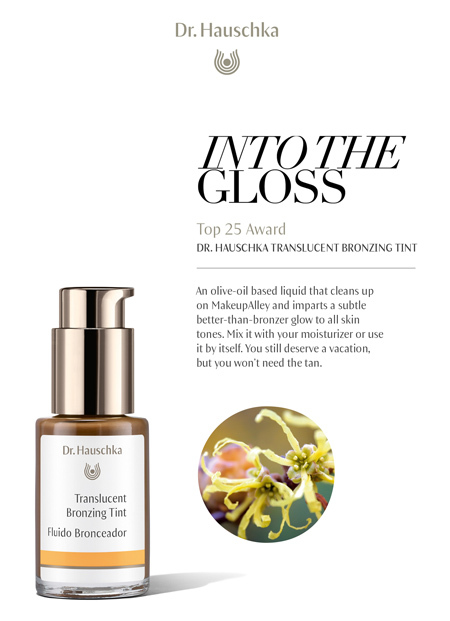 You still deserve a vacation, but you won’t need the tan. 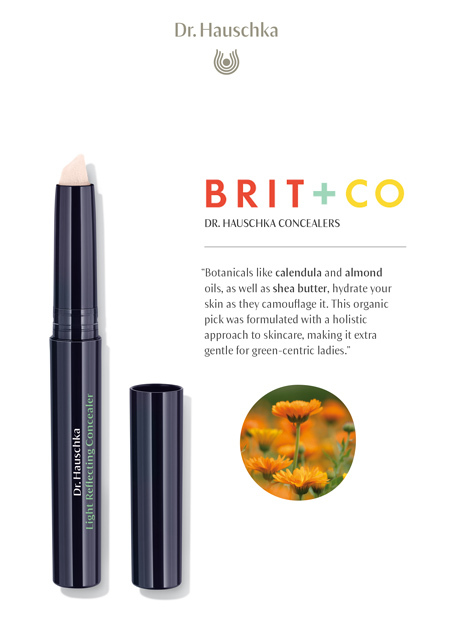 We work with cooperative farms all over the world to ethically & sustainably source natural ingredients. 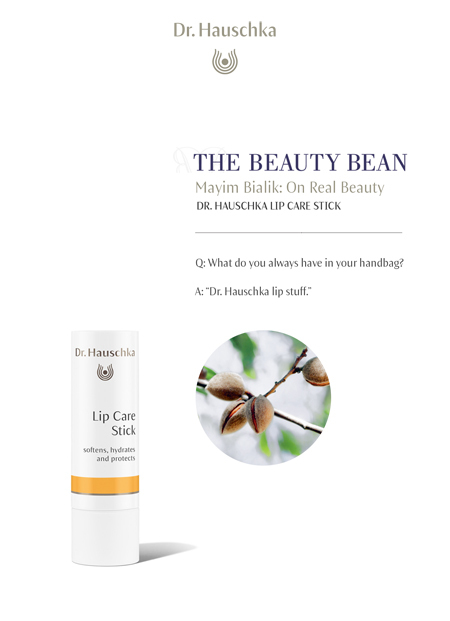 One such partnership is with the Limbau Group in Kenya...see more. 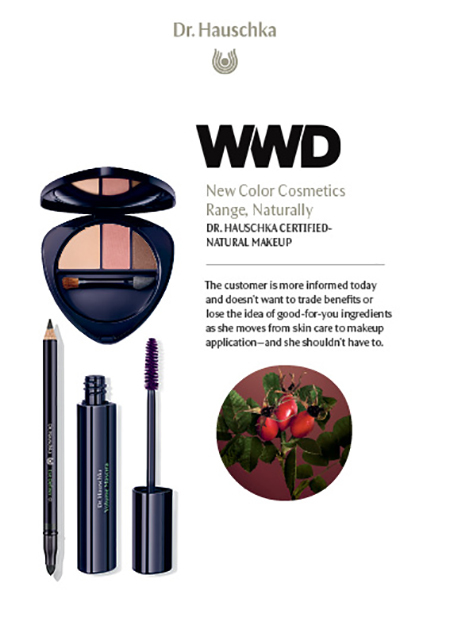 The customer is more informed today and doesn’t want to trade benefits or lose the idea of good-for-you ingredients as she moves from skin care to makeup application—and she shouldn’t have to. 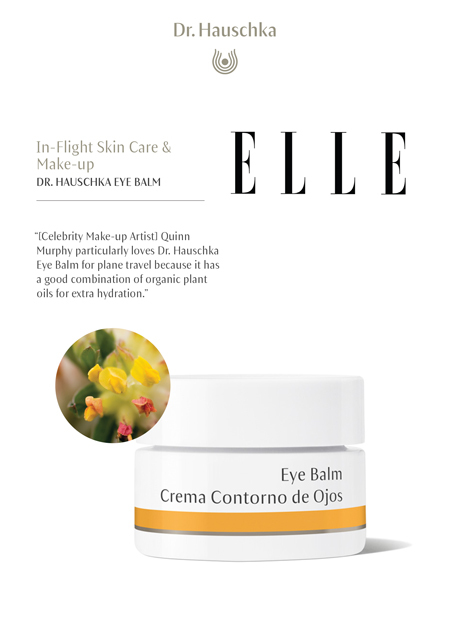 “[Celebrity Make-up Artist] Quinn Murphy particularly loves Dr. Hauschka Eye Balm for plane travel because it has a good combination of organic plant oils for extra hydration." 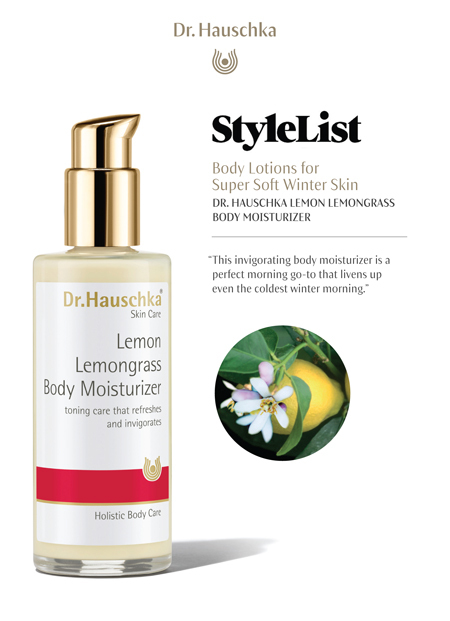 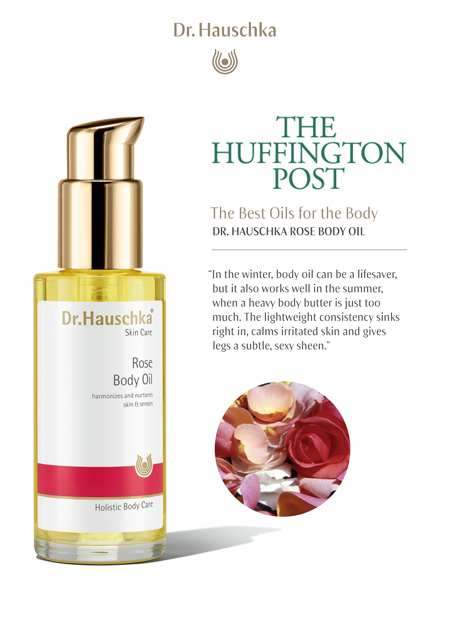 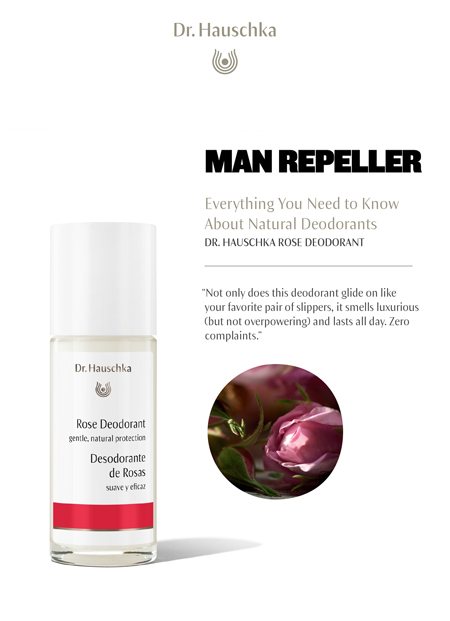 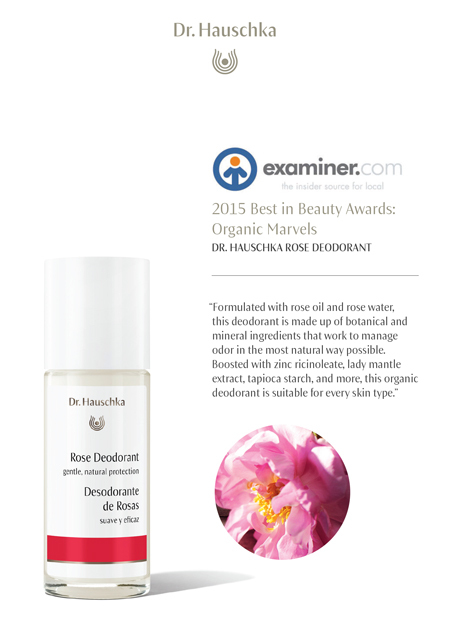 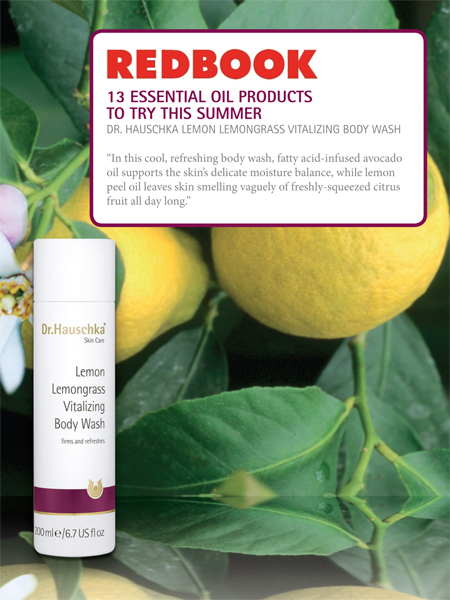 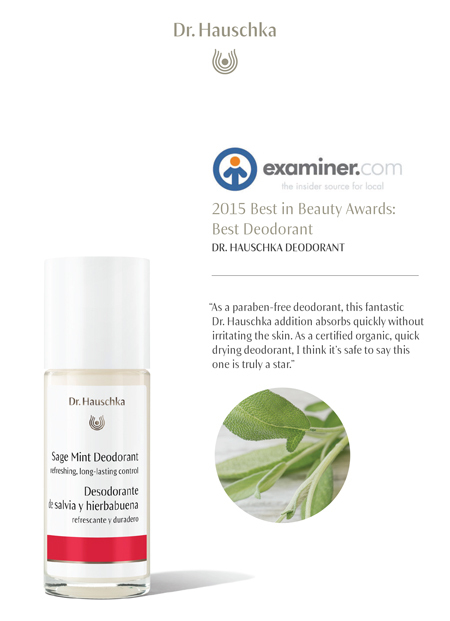 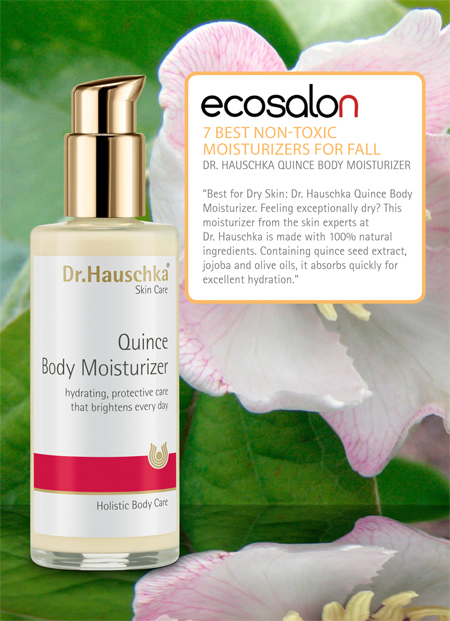 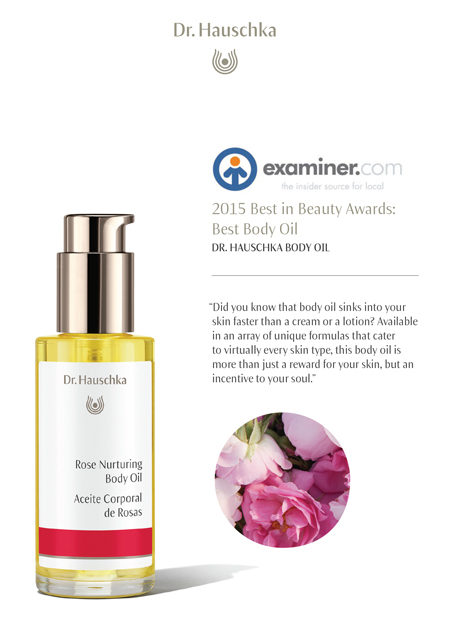 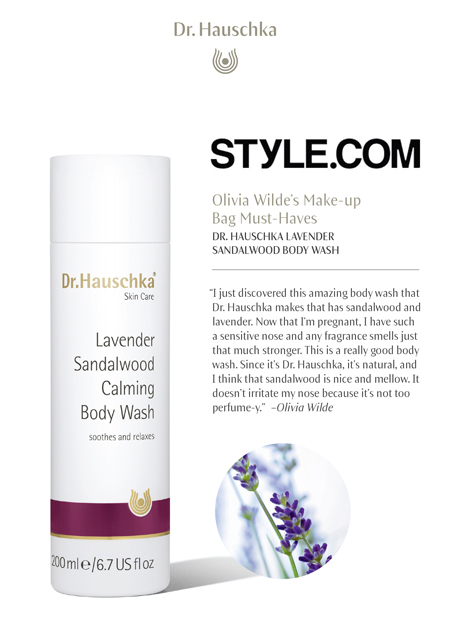 “The toner I use is by Dr. Hauschka. 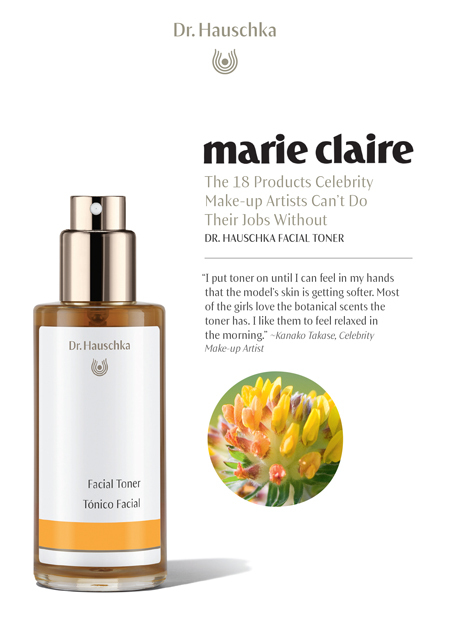 (It’s just the classic facial toner, straight up. 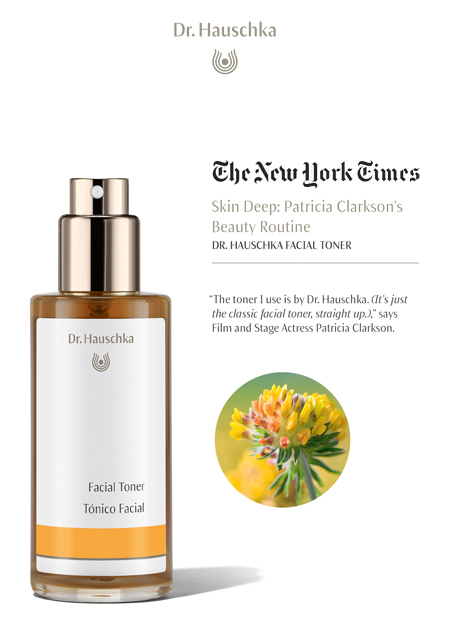 ),” says Film and Stage Actress Patricia Clarkson. 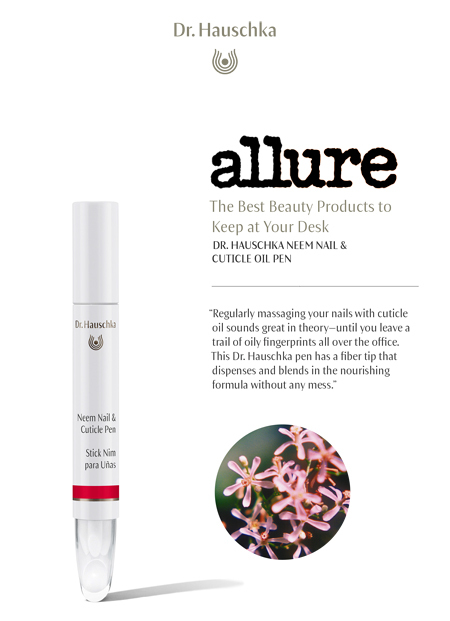 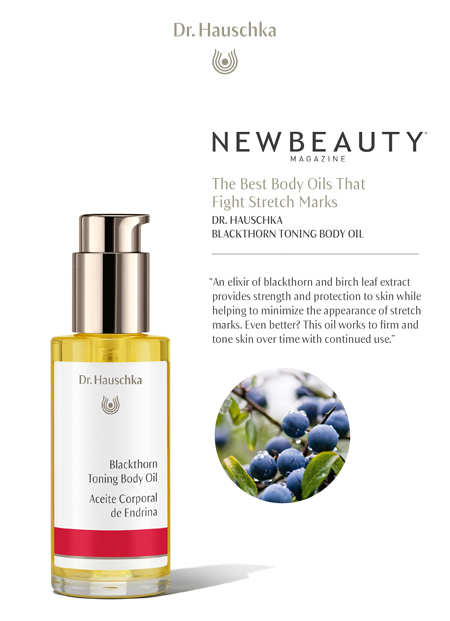 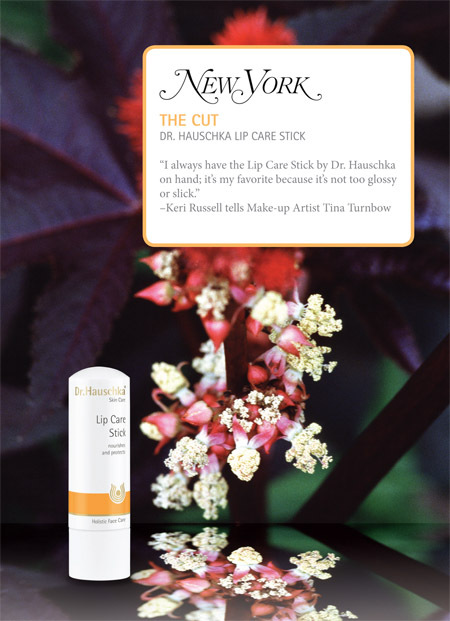 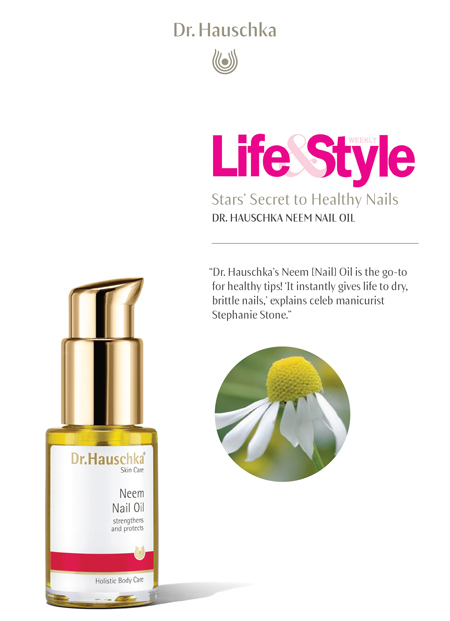 "Dr. Hauschka Neem [Nail] Oil is the go-to for healthy tips! 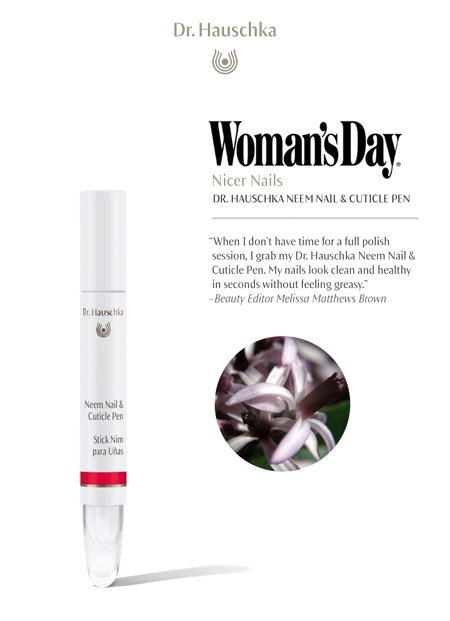 "It instantly gives life to dry, brittle nails," explains celeb manicurist Stephanie Stone." 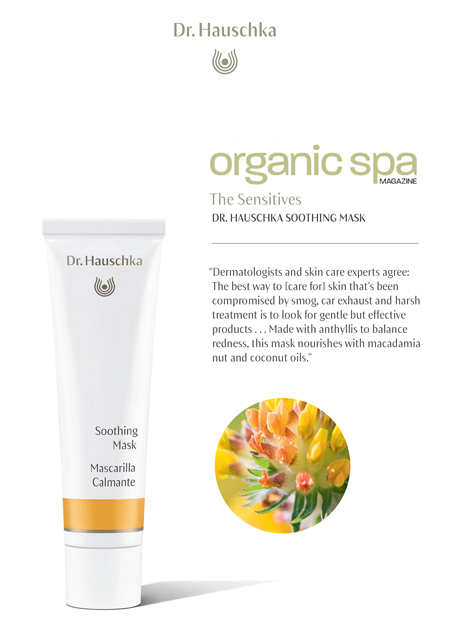 "Made with anthyllis to balance redness, this mask nourishes with macadamia nut and coconut oils." 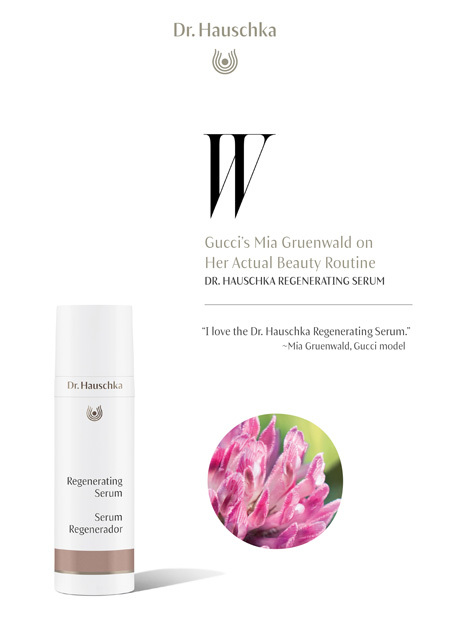 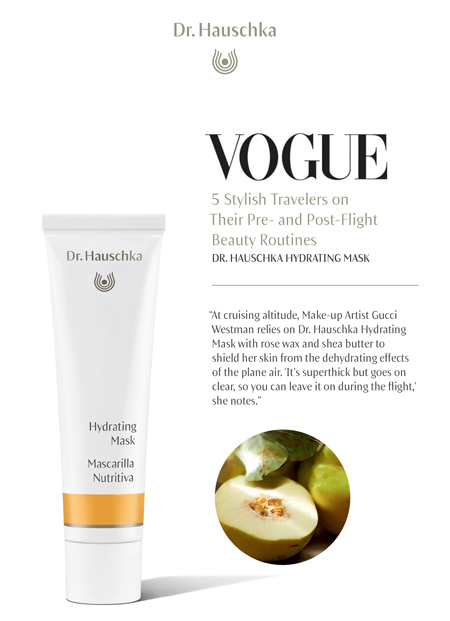 "At cruising altitude, Make-up Artist Gucci Westman relies on Dr. Hauschka Hydrating Mask with rose wax and shea butter to shield her skin from the dehydrating effects of plane air." 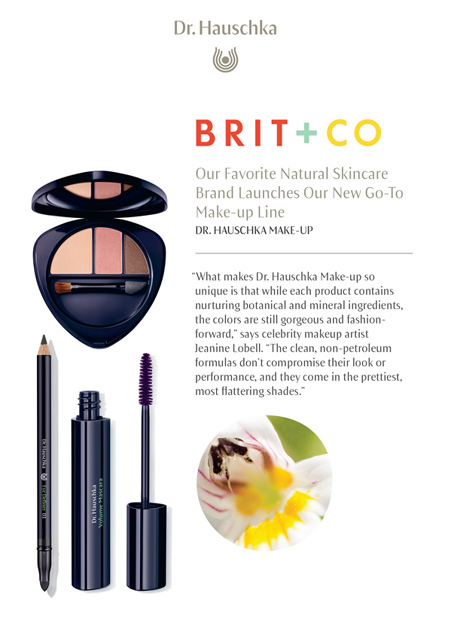 "This formula is super light and vanishes into skin. 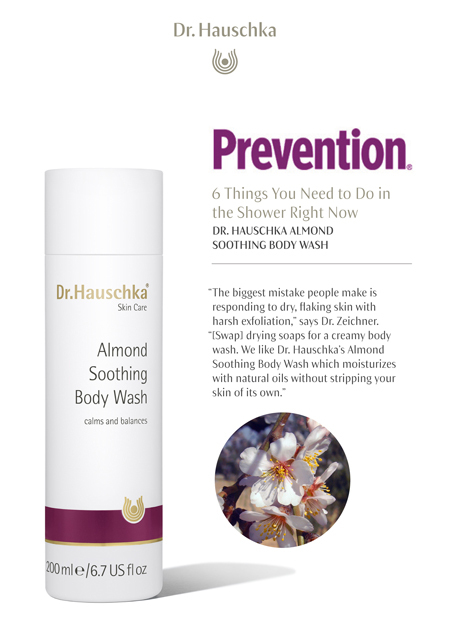 It's almond and wheat germ oils help keep your face soft, and they soothe after shaving." 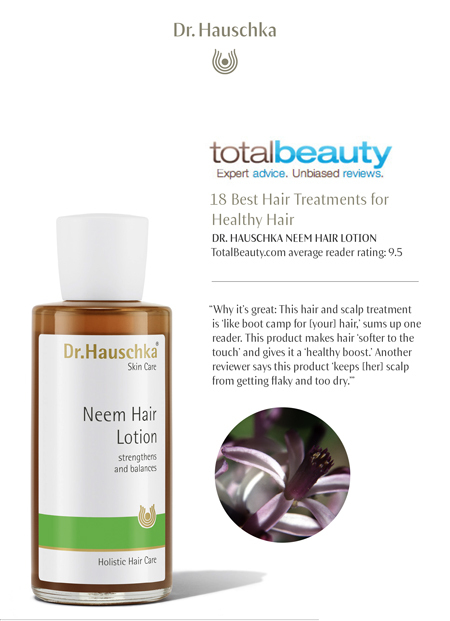 "Why it's great: This hair and scalp treatment is like boot camp for [your] hair," sums up one reader. 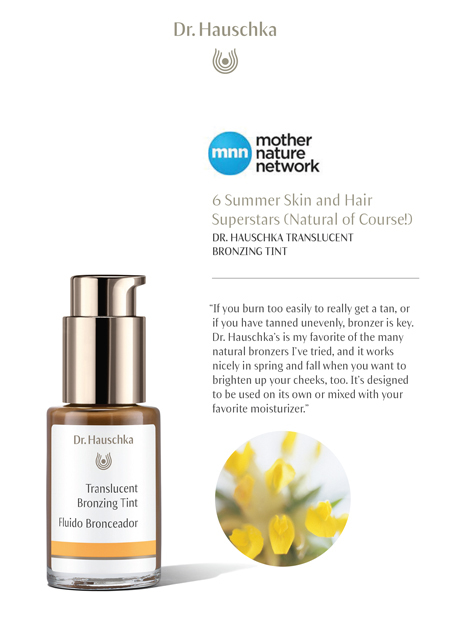 This product makes hair 'softer to the touch' and gives it a 'healthy boost.'" 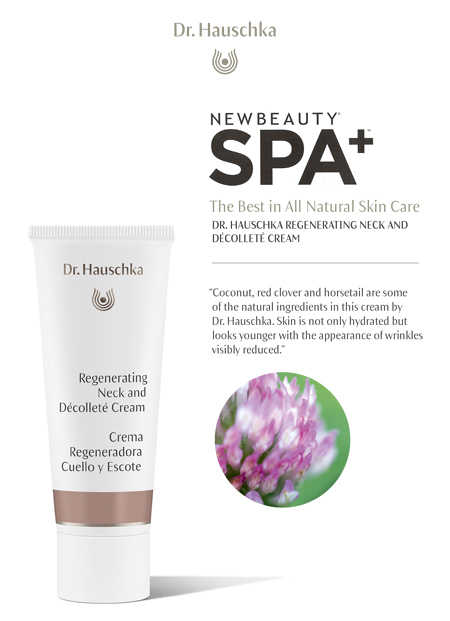 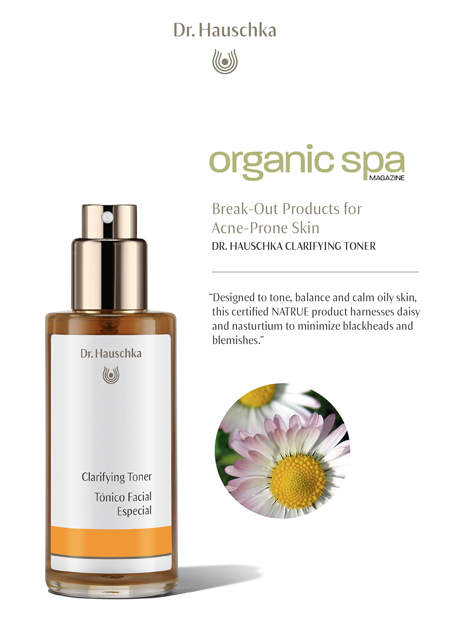 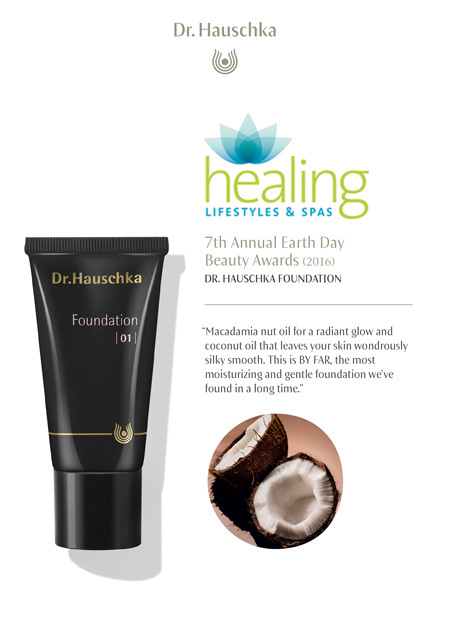 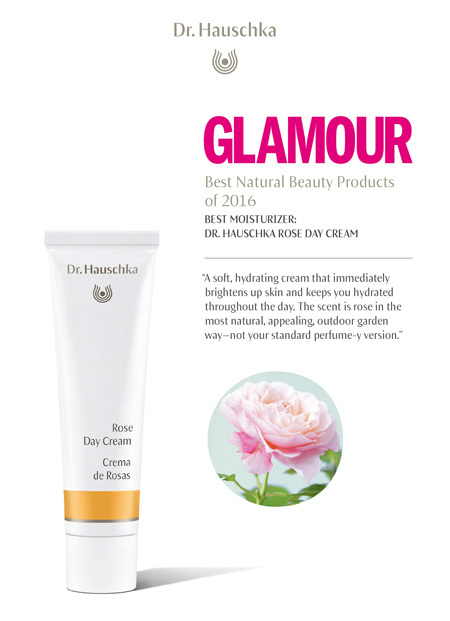 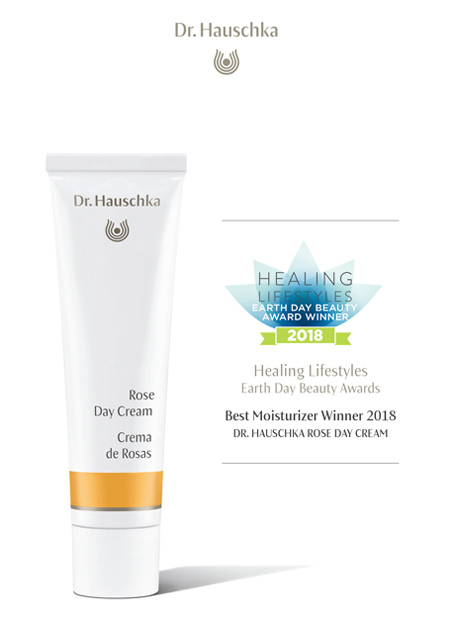 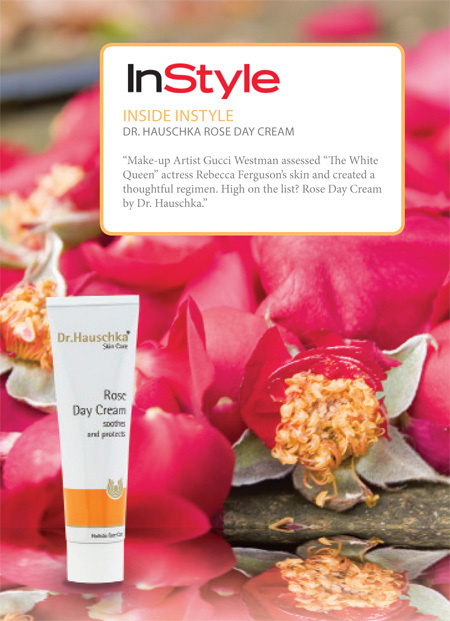 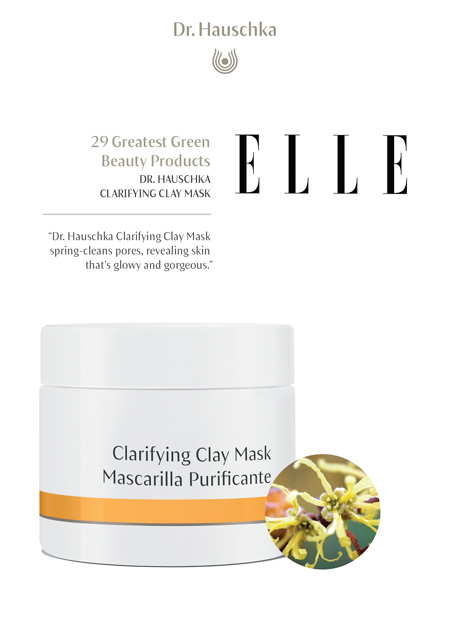 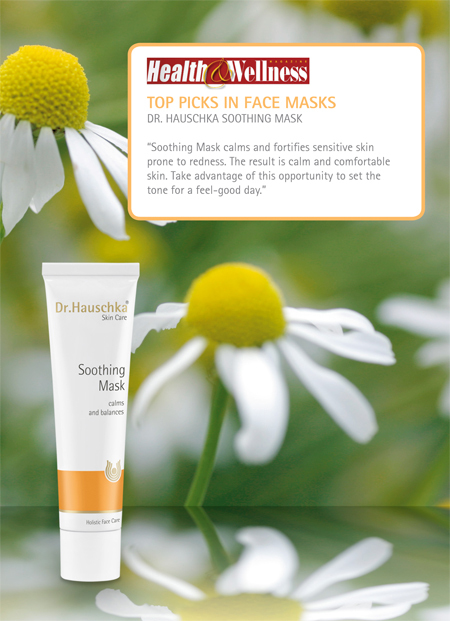 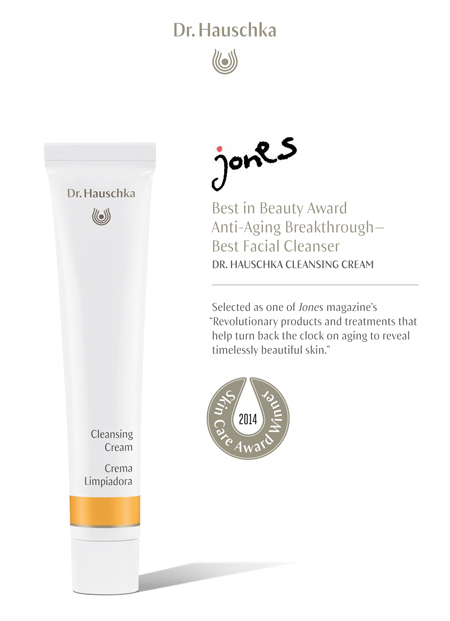 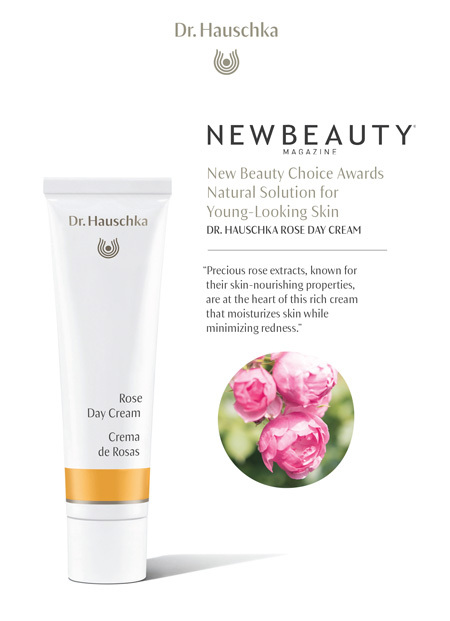 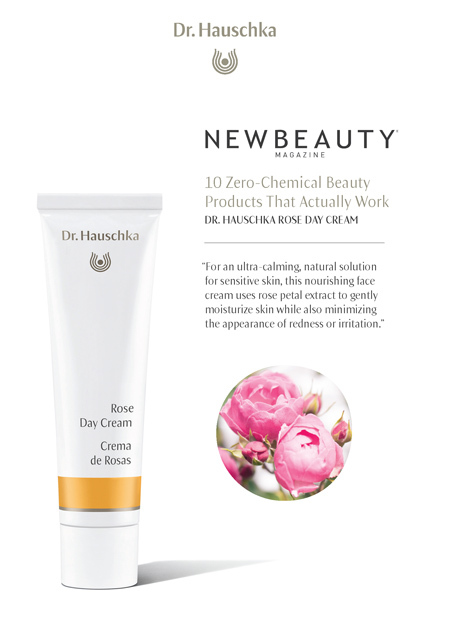 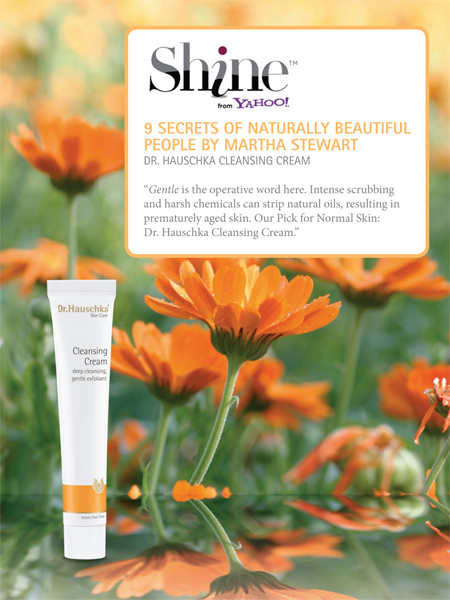 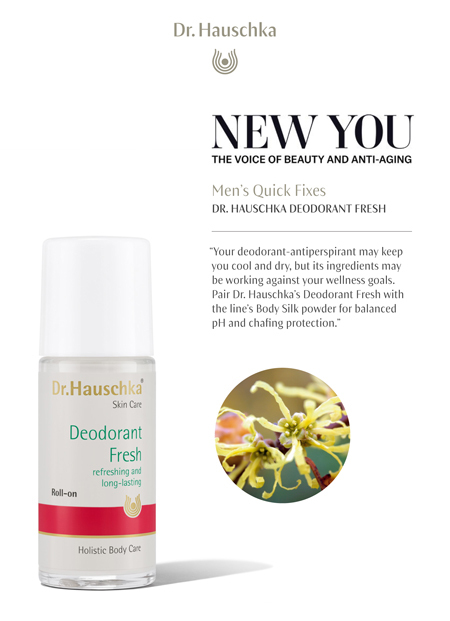 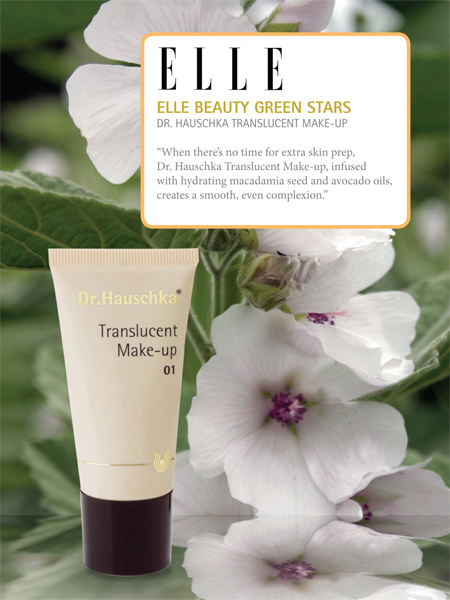 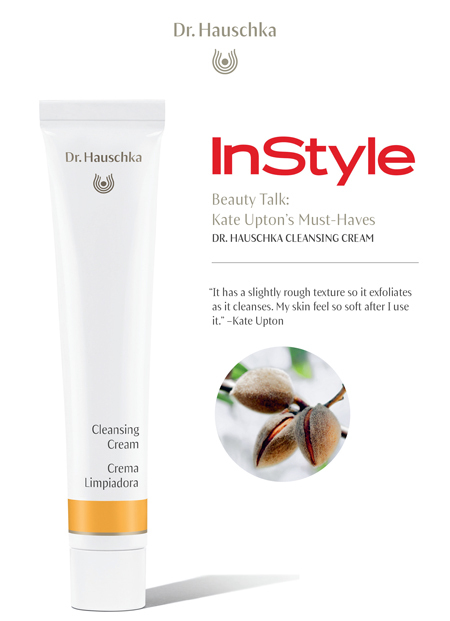 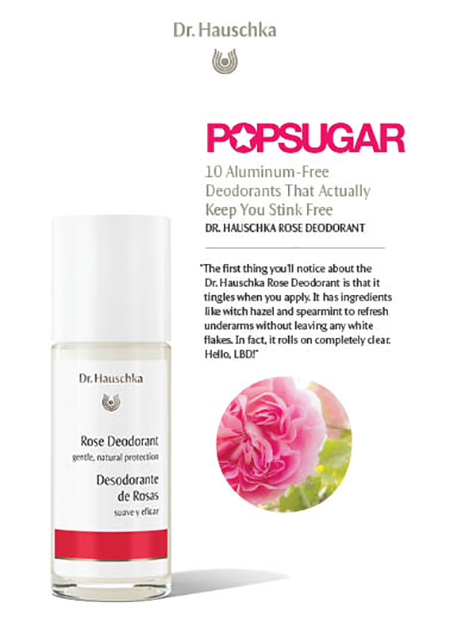 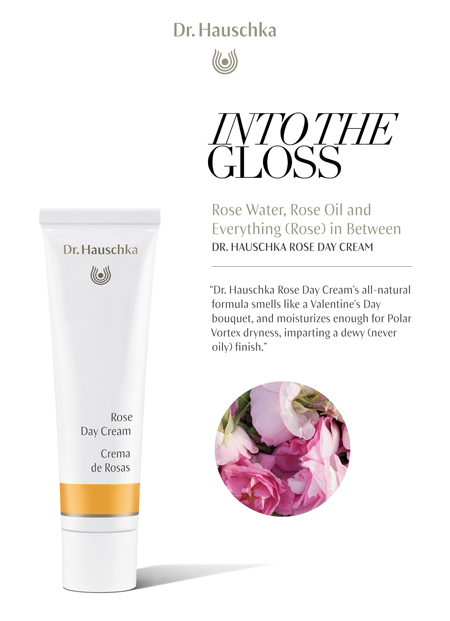 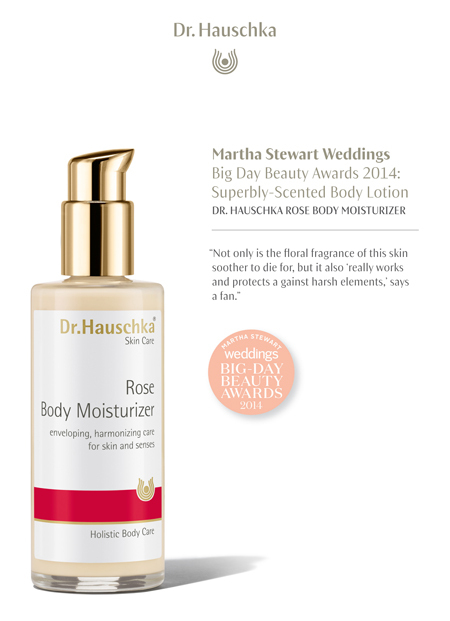 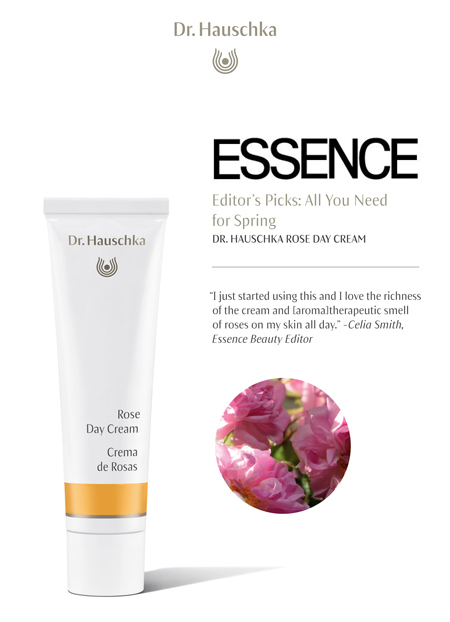 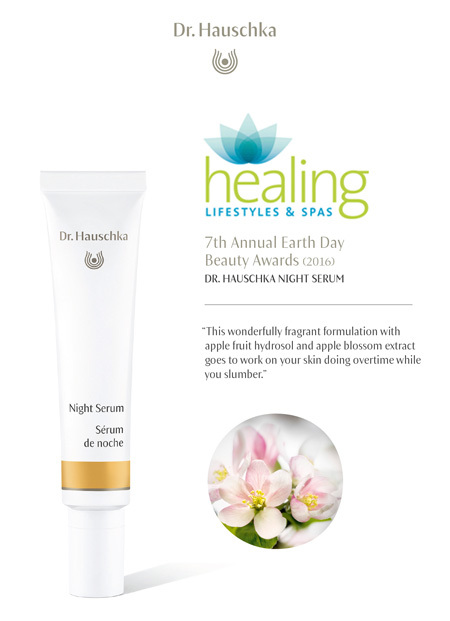 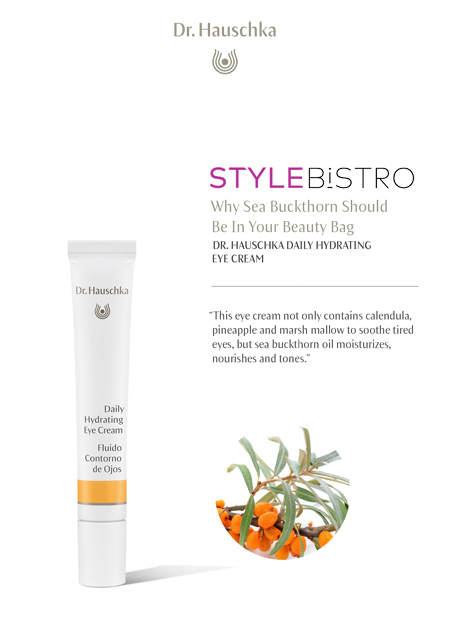 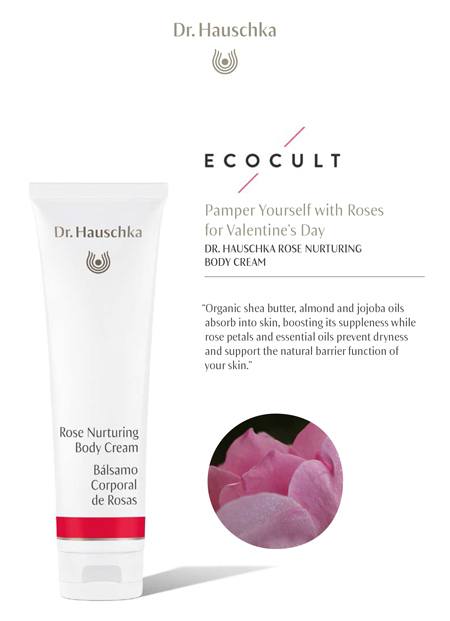 "Dr. Hauschka Clarifying Clay Mask spring-cleans pores, revealing skin that's glowy and gorgeous." 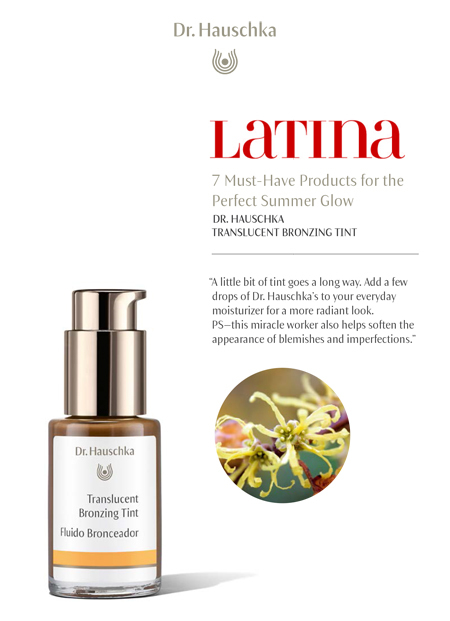 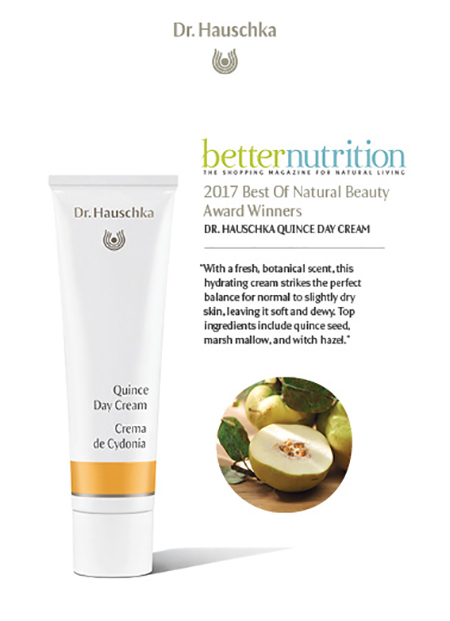 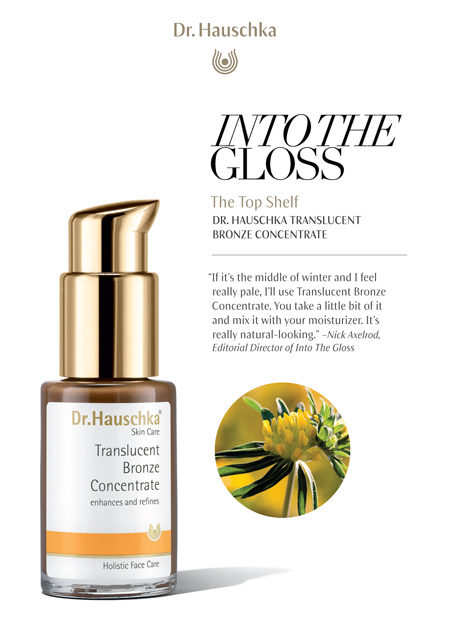 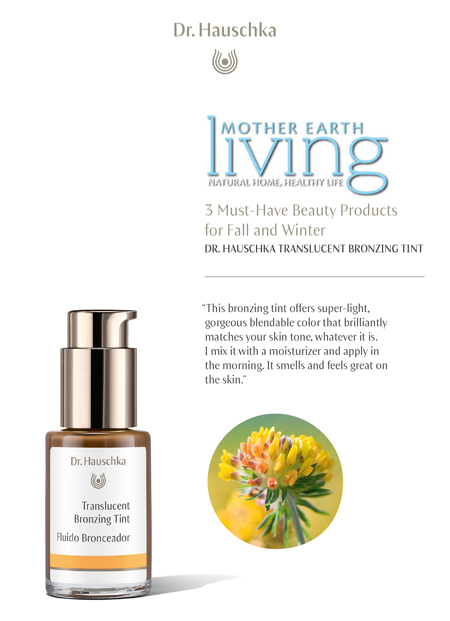 "Dr. Hauschka is my favorite of the many natural bronzers I've tried, and it works nicely in spring and fall when you want to brighten up your cheeks, too." 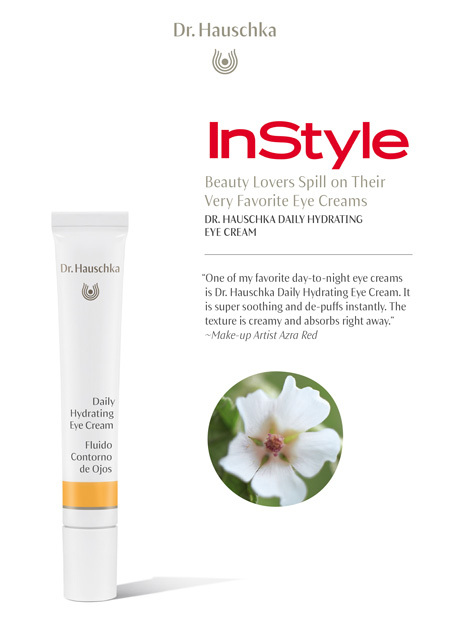 "Have sensitive eyes? 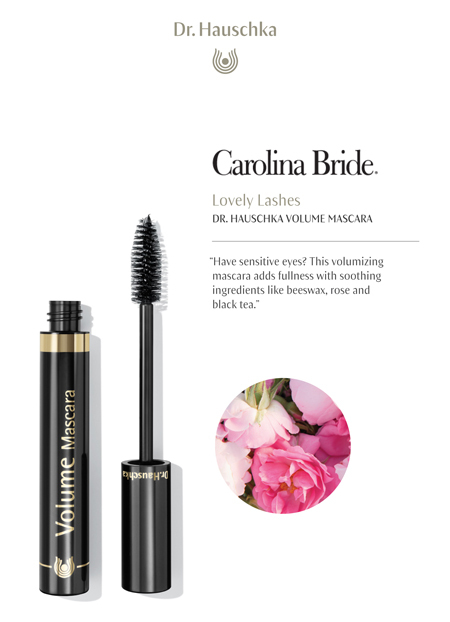 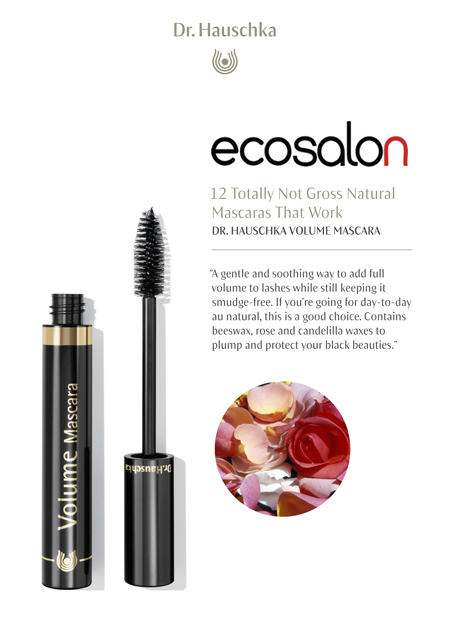 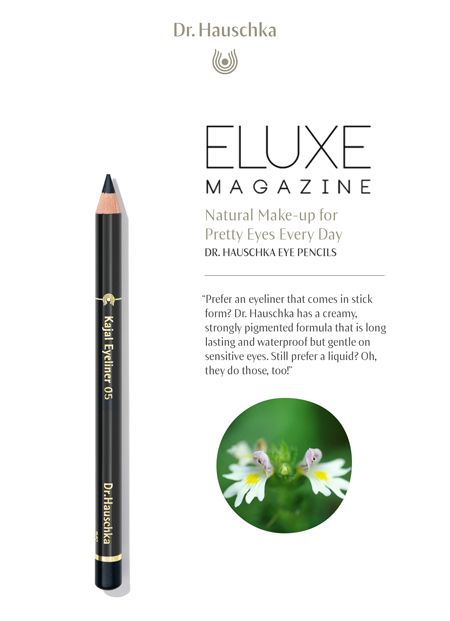 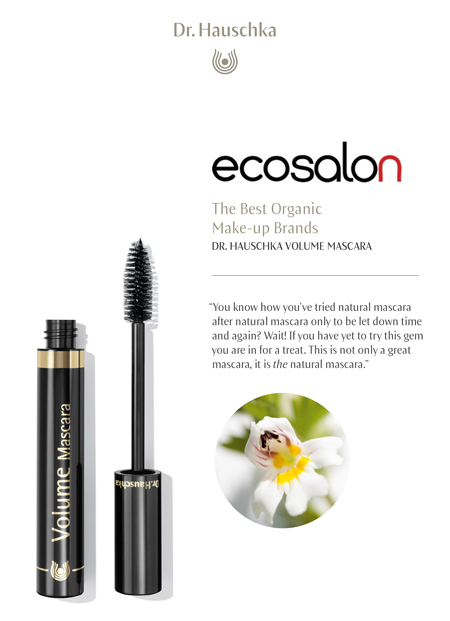 This volumizing mascara adds fullness with soothing ingredients like beeswax, rose and black tea." 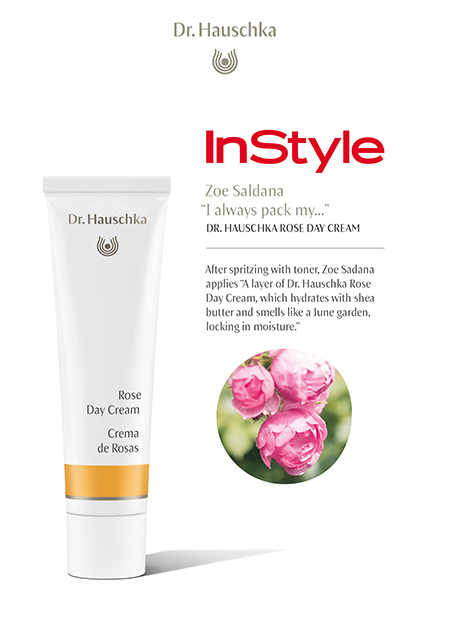 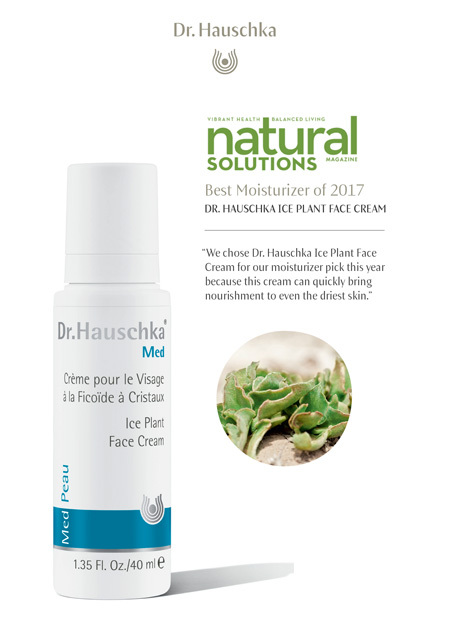 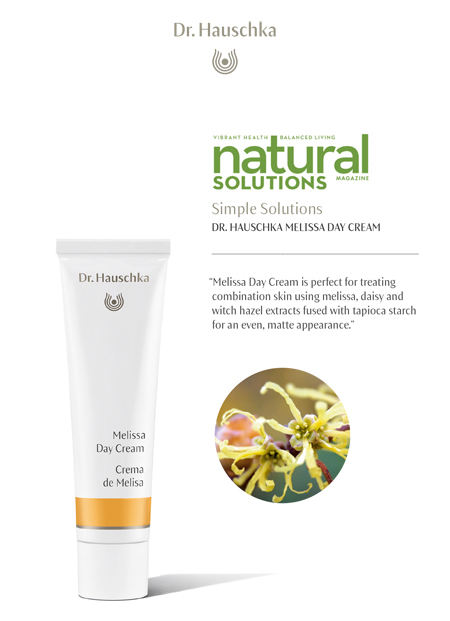 "Vanessa shared how she maintains her radiant skin and her favorite products: 'I'm really into Dr. Hauschka's Moisturizing Day Cream. 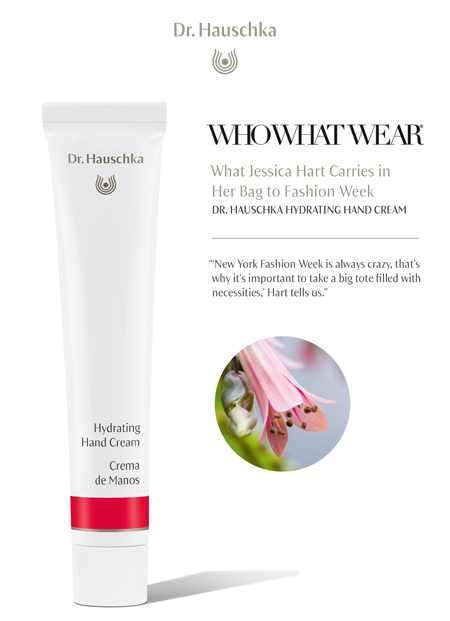 I moisturize daily with that.'" 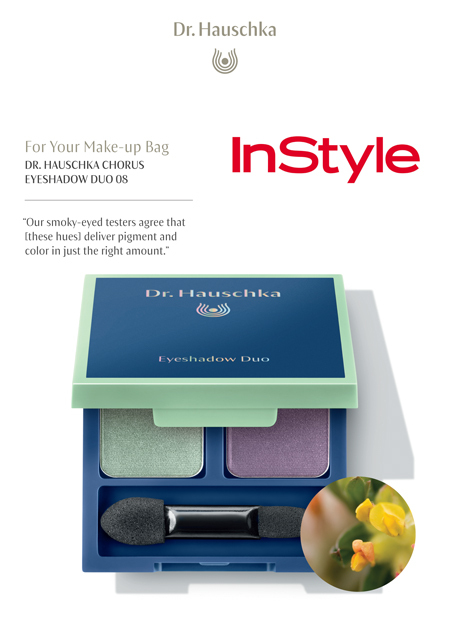 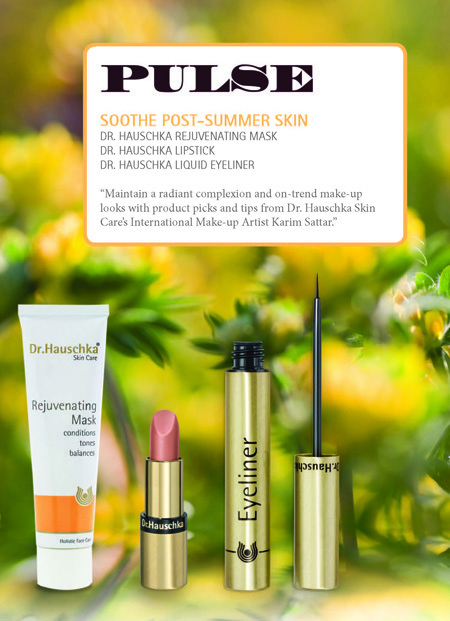 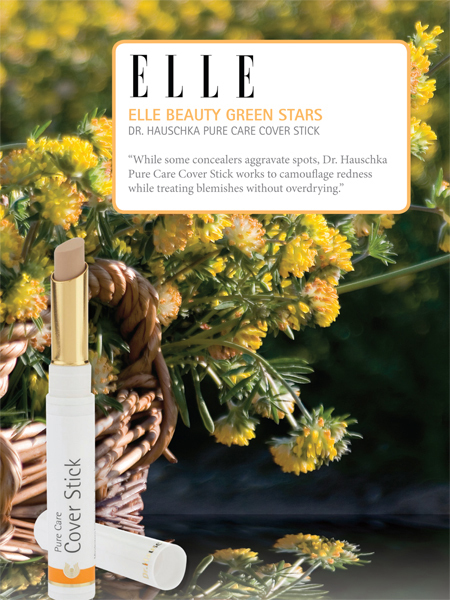 "Maintain a radiant complexion and on-trend make-up looks with product picks and tips from Dr. Hauschka Skin Care's International Make-up Artist Karim Sattar." 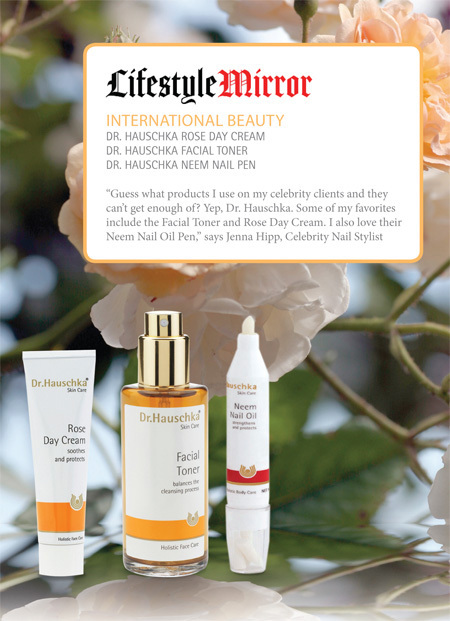 "Guess what products I use on my celebrity clients and they can't get enough of? 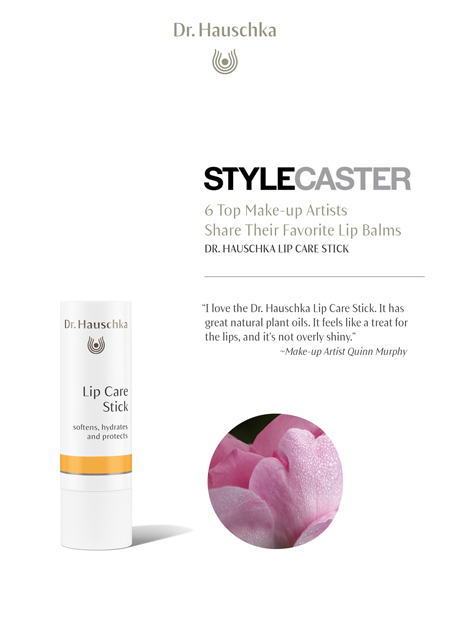 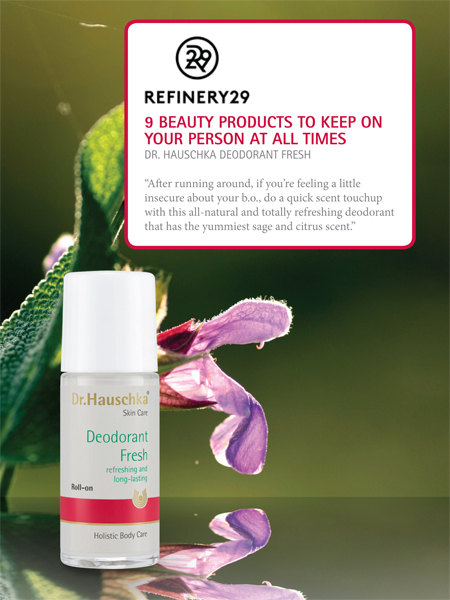 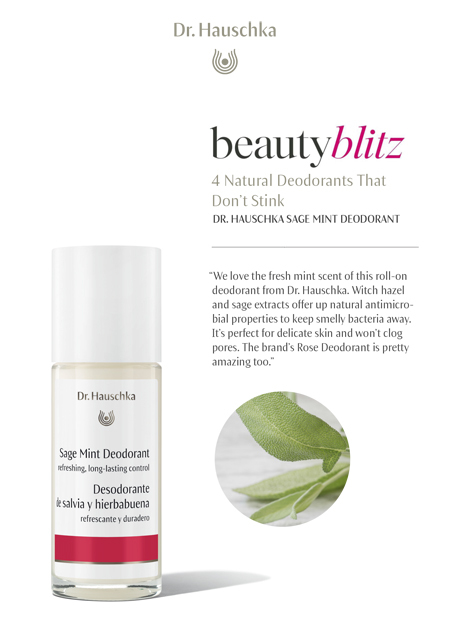 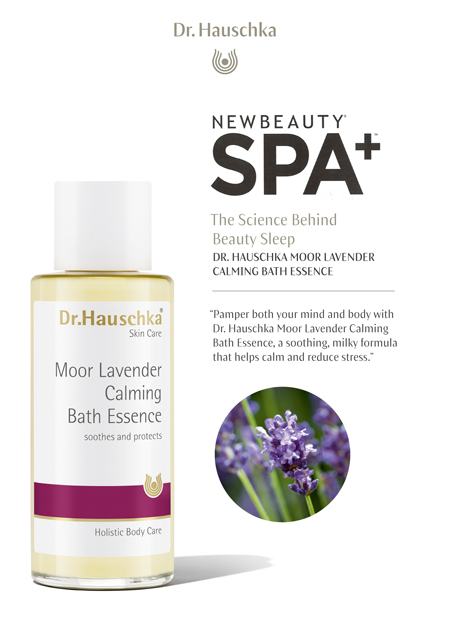 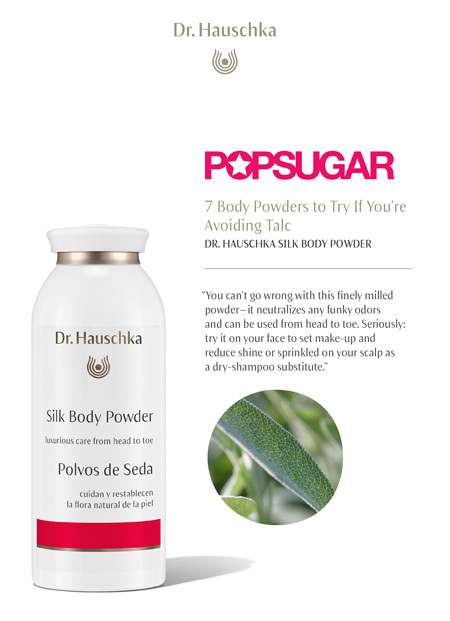 Yep, Dr. Hauschka. 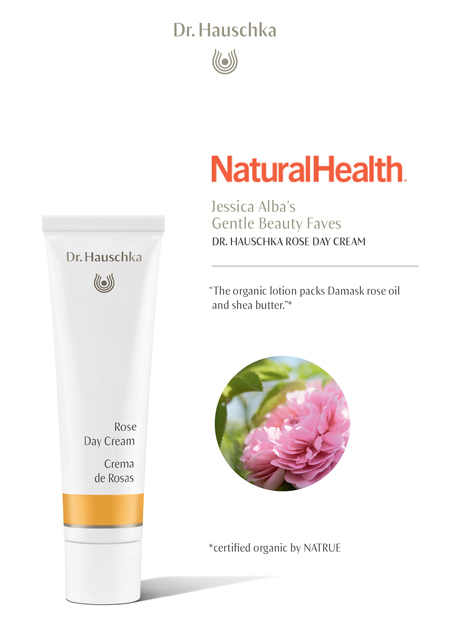 Some of my favorites include the Facial Toner and Rose Day Cream. 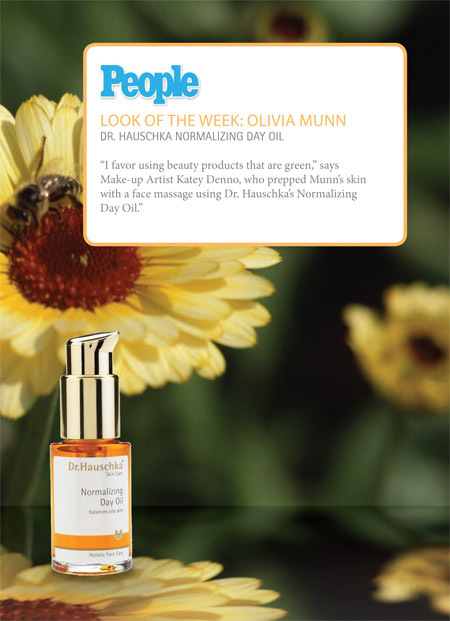 "I favor using beauty products that are green," says Make-up Artist Katey Denno, who prepped Munn's skin with a face massage using Dr. Hauschka's Normalizing Day Oil."